Scott A. Ashford brings experience in both higher education and industry to this leadership position. 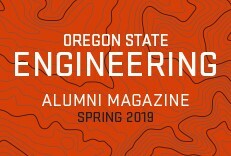 After graduating from Oregon State with a degree in civil engineering, he worked in private industry for seven years — mostly with CH2M HILL — and then earned his Ph.D. from the University of California at Berkeley. He started his academic career at the Asian Institute of Technology in Thailand and subsequently moved to the University of California, San Diego, earning the rank of Professor. 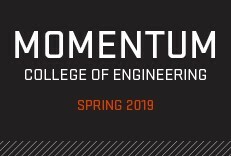 In 2007, he became head of the School of Civil and Construction Engineering at Oregon State, where he focused on building a graduate program that enhances undergraduate education. 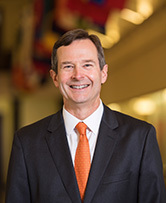 He had previously served as the college's interim dean. 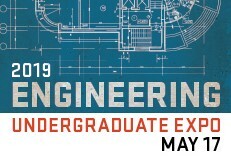 Ashford’s research focuses on enhancing public safety and reducing potential economic loss worldwide from earthquake and coastal hazards through cross-disciplinary research. His latest efforts are targeted at improving the resilience of the lifeline systems in the Pacific Northwest to better withstand attack from the Cascadia Subduction Zone. In his role as dean, Ashford oversees the college's five schools, with more than 360 faculty and staff, serving more than 8,700 students. He will continue to build on the excellent teaching, research, and industry collaborations for which the college has long been recognized. Appointed by the Governor and confirmed by the Senate, Ashford also serves as a governing board member of the Oregon Department of Geology and Mineral Industries (DOGAMI).